On stage at the official conference reception for IoT Week, OASC announced the 6th Wave of new members. Carouge and Geneva are the first cities to join from Switzerland. Cuiába, Garanhuns, Parnamirim and Recife are four cities joining nine current member cities from Brazil. Logan and Ipswich are the new cities joining three existing member cities from Australia. Fredrikstad and Gjesdal are two cities joining three current member cities from Norway. 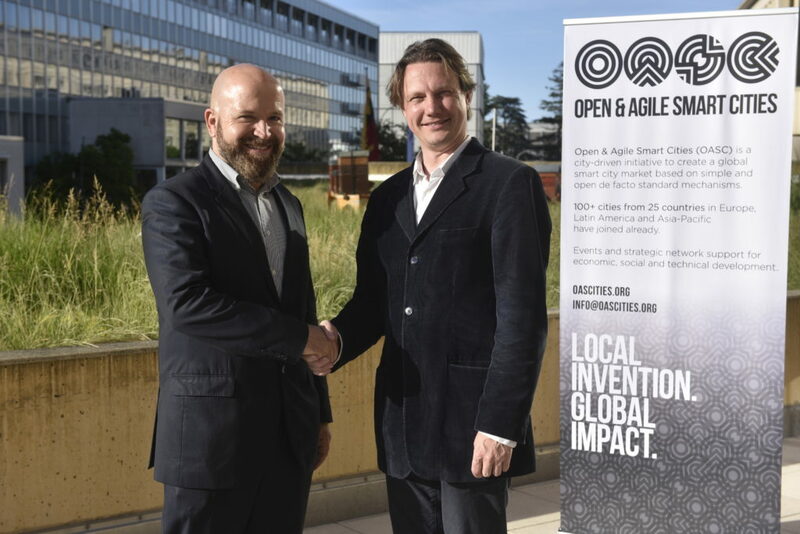 The OASC initiative now includes 114 cities from 23 countries working together as they share best practices and shape technological underpinnings of economic and social benefits that global smart cities can offer. Together with current members, these new cities bring a wealth of smart city knowledge and concrete activities to the network. Martin Brynskov, Chair of OASC, announced that OASC, which is based in Brussels, is incorporating as a nonprofit association. Brynskov indicated that the legal formation should be completed within weeks. The Open & Agile Smart Cities initiative is an international network of national networks of cities.